It’s exactly 50 days until Christmas 2015 and the celebrations are nearly here so it’s time to start thinking about purchasing presents for friends and family! We’ve got a great range of wine racks that would be perfect for the wine lover in your life looking to enhance or simply start their wine storage. Whether it’s a big or a small collection, we have a big selection suitable for all bottle amounts, as well as different materials and styles of rack. 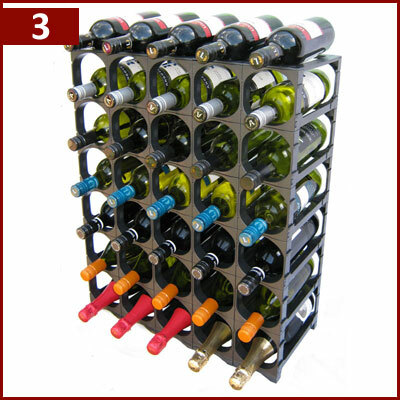 Why not treat someone to the perfect wine rack as a Christmas gift! 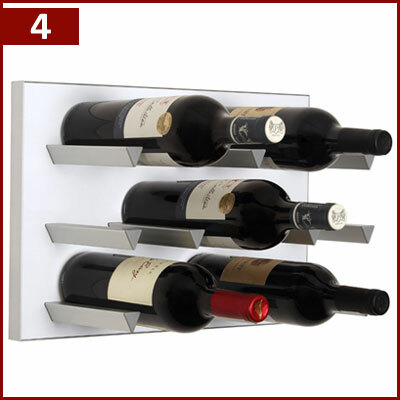 One of our most popular wine racks is the collection of self assembly racks from Vinrack. There racks are really easy to assemble, no tools are required! 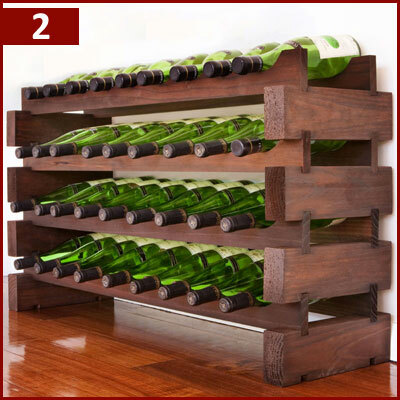 Available in either natural pine or a dark stain, they have wine racks that can hold 12 bottles, 18 bottles and 48 bottles. The advantage of this modular rack is that you can build on top of the existing rack when your collection outgrows the original wine rack bottle capacity! These small racks are made from Australian pine and can be placed on a kitchen worktop, in the dining room or even under the stairs! The Modularack wine rack system is the bigger brother of the Vinrack system above, however with more variety the Modularack wine racks are bigger, stronger and can hold a lot more bottles. 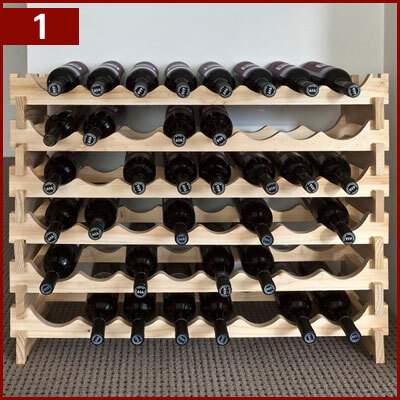 The standard Modularack wine racks range from 8 bottles (4 wide, 2 layers high) all the way up to 72 bottles (12 wide, 6 layers high) and once again in the same natural pine and dark stain finished. The Modularack system allows you to keep adding racks onto an existing rack, so once you start collecting too many bottles you can simple add another layer! You don’t require any tools to assemble, you push and wiggle the blocks and layers into place, it really is that easy! The Cellarstak self assembly wine racks are made from plastic and imported by ourselves from Australia. This simple yet effective interlocking system allows you to build the rack to which ever size and shape you wish, a bit like a grown up version of lego but for wine racking! We offer two different sized packs, one for 36 bottles and the offer holds up to 60 bottles, both suitable for a home or trade environment. The advantages of a plastic rack is that it’s easy to clean if you so wish, it can’t rot or warp like wooden racks and it’s actually quite light so if you need to move it, you can easily do so. The Vinowall wine racking system allows you to store your wine on the wall! This modern wine storage solution will fit any space or decor as we currently stock only two colours, snow white and jet black. They’re really easy to assemble and install on to any drywall and solid brick wall. This wall wine rack is made from extruded aluminium, aluminium composite and ABS plastic and allows you to store up to 12 standard bottles of wine on any one piece. It’s a modern yet functional way to store your wine, so why not surprise your loved one with a superb wall mounted wine rack for Christmas! Our traditional wine racking allows you to have a bespoke, made to measure rack for any space or hole in your home! Our prices start from as little as £1.03 per bottle hole and you’re able to choose from natural pine or one of our stains. Constructed within the UK from natural pine and galvanised, these wine racks allow you to store a highly concentrated amount of bottles within a certain space. Each bottle is stored in its own ‘slot’ so they don’t make contact with each other. 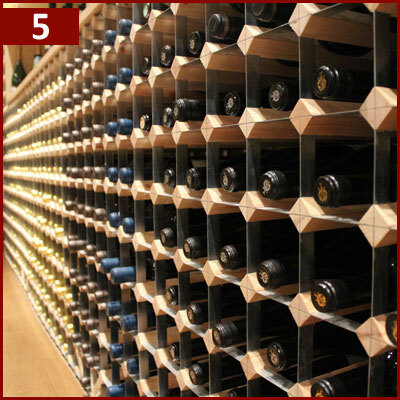 We can build racks for standard sized wine bottles, as well as half bottles, magnum bottles and also champagne bottles! You could always let your friends and family decide which wine rack they would like to have to give a Wineware Gift Voucher instead! You have until 12 Noon on Tuesday 22nd December to purchase your Wineware Christmas Gift for guaranteed pre-Christmas dispatch!